VAC-U-MAX Vacuum Convey System for loading filling and packaging machines. 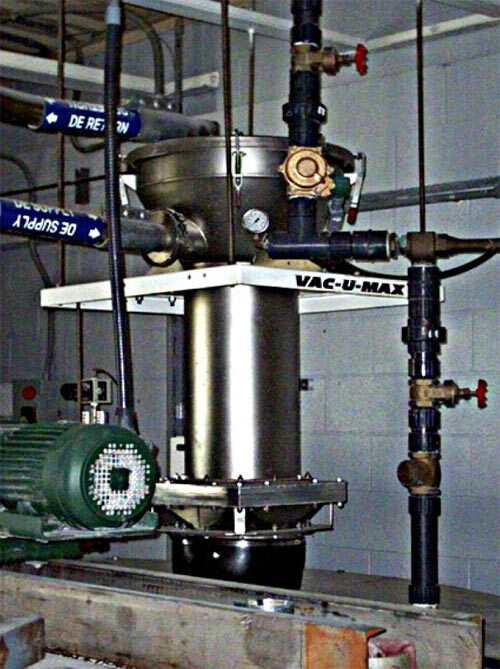 VAC-U-MAX Basic Vacuum Conveying Systems consist of a Single Pick-Up Point, a Single Vacuum Receiver and Vacuum Producers and a control panel. Available in USDA sanitary design they are suitable for the Food, Pharmaceutical and Chemical industries. Distances conveyed vary from 10’ “up and in” to 100 feet. 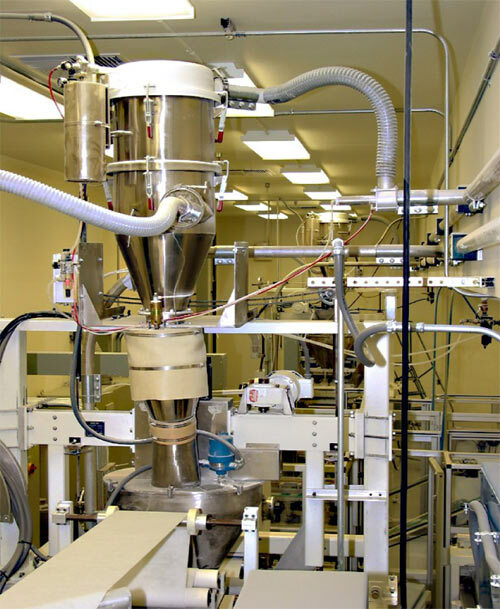 Application include loading a mixer, packaging machine, tablet press, volumetric or gravimetric feeders or any other application where bulk dry powders are conveyed to the process. These save injury costs by eliminating the nedd for heavy lifting, scooping and climbing.